Email blasting is used to reach out and connect to a much wider audience. However, sending irrelevant emails becomes ineffective because it can cause prospects to ignore future emails. Luckily, lead nurturing was born! Upon subscription, marketers can develop relationships with prospects at every stage of the sales funnel by nurturing them. Here are 4 reasons why lead nurturing wins over email blast. Define your next move depending on the status of your prospect. How? Email response increases when you connect with every lead upon subscription when they are more interested in hearing from you. Subscribers are more likely to open and read the email because they asked for it. Subscribers have the freedom to choose what topics to subscribe to. Marketers can follow up depending on the level of interest of your sales prospect. Marketers can create content based on the needs and wants of the prospect. Email marketing isn’t about selling; it’s about developing and nurturing relationships that lead to sales. In order to win customers, don’t just blast, nurture. Your initial call ended great! You are scheduled to follow up within a day or two but can’t get hold of your prospect. You’ve decided to follow up again after a week… and the week after and so on. Unfortunately, it’s been a month since you last spoke with him. No matter how many times you attempt to reconnect with him but it seems like everything is dropping off the map with this prospect. Way back, I encountered the same situation. I started asking myself, What happened? Did they change their mind and realize that they don’t need your product or service after your first call? Did they found another company who can provide them with the same product or service? Have they decided to push through with another project? Without hearing from my prospect and knowing the reason why, it’s hard to figure out if they just simply went cold or they still want to push through with it. I gave him a little time, probably a month or two before I decide to give it a shot for one last time. Here’s what I did to re-engage with my warm prospects. 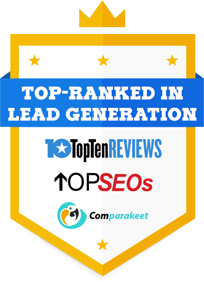 You might also like our recent post Lead Generation Statistics in Australia You Wish You Knew Before. I’ve sent out a reconnecting email. Here’s an example of my template. I understand you’ve been busy since we last talked. I have not had much success reconnecting with you. The reason I’m asking is that I would like to follow up on our last conversation. I just need to know whether or not to keep trying. I’d like to check if you’re ready to discuss further about this. I am available to give you a call whenever you’re available. To my surprise, I immediately receive a response the following day. Here are the reasons why I think it worked. The email allows your prospect to have an honest response without hurting your feeling. They are not pressured to commit to anything. These responses may sound like they’re not interested to some sales reps. But I’m glad I got these responses because it doesn’t mean they are no longer interested. This slide might just help you, check out A Closer Look at a Sales Lead’s Mind an Australian Perspective. All I need is to respect their time for now. I can always nurture them, turn them into warm prospects again and eventually convert them into a sale, not for now, but at the right time. More good reads on Callbox Australia Blog!